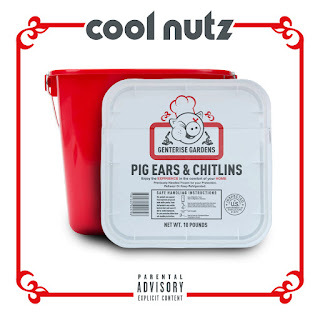 Cool Nutz drops his latest album “Pig Ears & Chitlins” which is derived from the historical Soul Food items that have become synonymous as genuine staples in African-American culture. As a dedication to Northeast Portland, Cool Nutz pays homage to the genuine, organic, and authentic environment and community he was raised in. “Pig Ears & Chitlins” have always signified a feeling of home, community, and more within the African American community. Whether you chose to indulge or not, the meaning was deep-rooted and truly one of authentic family. Production duties on “Pig Ears & Chitlins” is handled by Trox, Cee Goods, Lawz Spoken, and Deezo Woods. The album brings another welcomed addition to the illustrious catalog of one of Portland’s most heralded musicians. Look for more visuals, singles, and quality content to come from “Pig Ears & Chitlins”.